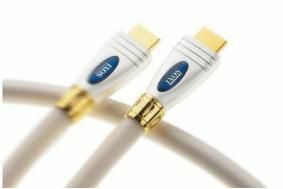 Ixos launches XEN XHT668 HDMI 1.4 cable with Ethernet capability | What Hi-Fi? It's on sale now for £129.99 for a 1.5m length, and allows any internet-enabled device to share its internet connection with other HDMI devices without the need for a separate HDMI cable. Other lengths and prices for the Ixos XHT668 will be available shortly.